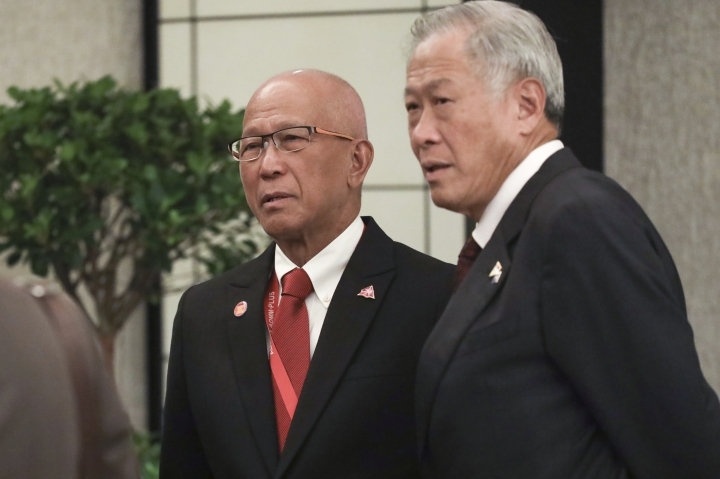 SINGAPORE — Southeast Asian navies are heading to their first joint exercises with China in its southern waters next week, and defense officials agreed Friday to conduct a similar drill with the U.S. next year. 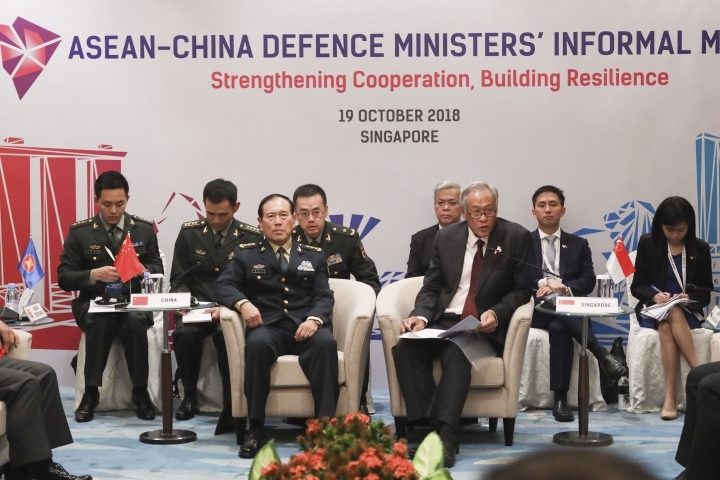 Singapore's Defense Minister Ng Eng Hen said the drills in waters surrounding Zhanjiang will build trust and confidence among the navies participating. 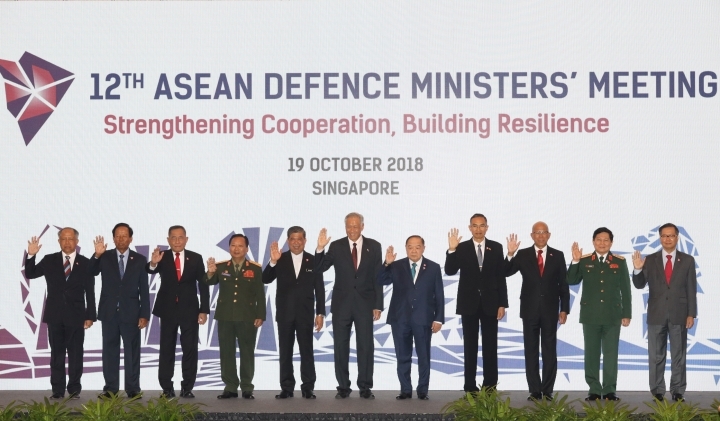 The defense ministers of the 10-member Association of Southeast Asian Nations said in a joint declaration their planned exercises would "enhance friendship and confidence between ASEAN member states' navies and the People's Liberation Army Navy and the U.S. Navy." The officials said at a news conference that the location and extent of the second exercise had not been decided. 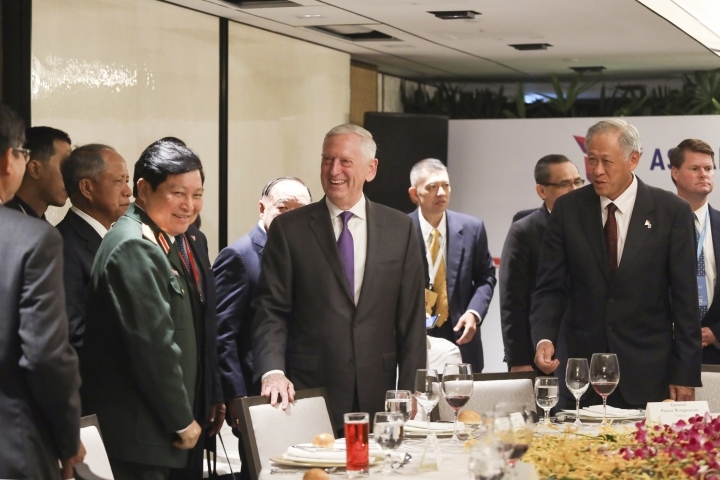 ASEAN defense ministers are in Singapore with U.S. Defense Secretary Jim Mattis and his Chinese counterpart, Gen. Wei Feng, for an Asian security conference this weekend. Mattis said he remains keen for a "constructive relationship" with China but expressed concern about its military activities in the disputed South China Sea. By working with ASEAN and other partners, the U.S. affirms that "no single nation can rewrite the international rules of the road," he added. 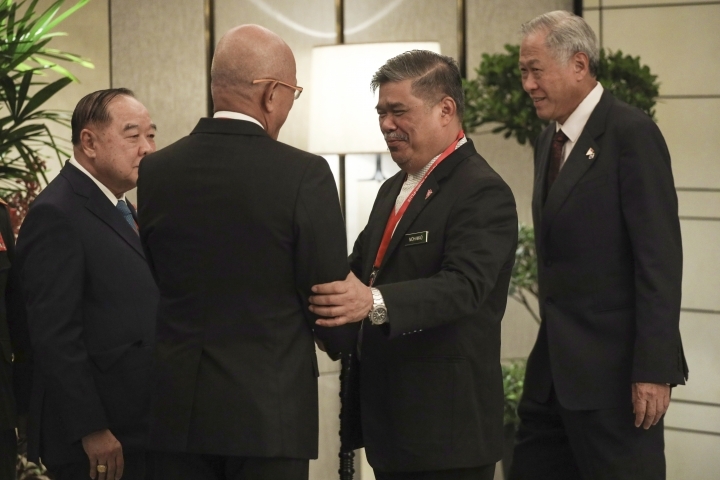 At an informal meeting, Wei said China and ASEAN were a force for maintaining peace, boosting development and deepening cooperation in the Asia-Pacific region. Journalists were ushered out once he started to comment on the South China Sea. The exercises with China's navy next week will include operations like maritime safety, medical evacuation, and search and rescue procedures. Asked if it holding the exercise in the South China Sea was contentious, Ng said all countries had the right of navigation and military activities consistent with international law. China and other Asian governments have rival claims to parts of the South China Sea. Chinese military activity in the disputed areas is viewed by Washington as irresponsible while Beijing complains of an inappropriate U.S. military presence. "Having an exercise with one but not the other could be misinterpreted as being partial. As such, the optics are vital," said Eugene Tan, an associate professor of law at Singapore Management University. "It's the attempt at ensuring that both countries and their militaries are engaged with the region," he added. Tang Siew Mun, head of the ASEAN Studies Centre at the ISEAS-Yusof Ishak Institute in Singapore, said more joint activities are likely.